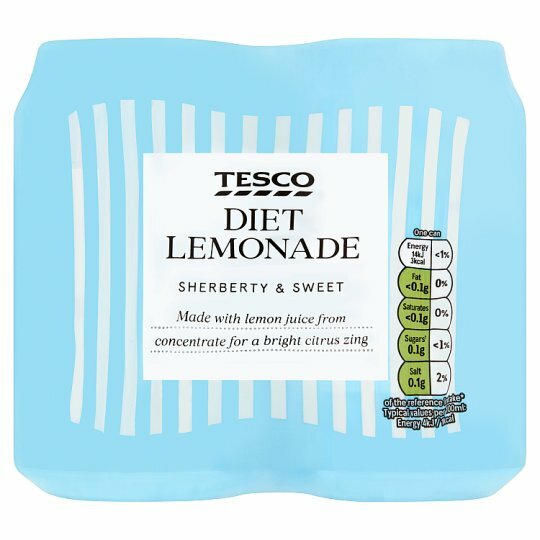 Carbonated no added sugar lemonade soft drink with lemon juice from concentrate and sweeteners. SHERBERTY & SWEET Made with lemon juice from concentrate for a bright citrus zing Our drinks experts have been creating fizzy drinks in Yorkshire for more than 25 years. We take old favourites, and carefully evolve these recipes over time, using absolutely no artificial flavours. Carbonated Water, Lemon Juice from Concentrate (2.0%), Citric Acid, Acidity Regulator (Sodium Citrate), Flavourings, Sweeteners (Acesulfame K, Sucralose), Preservative (Potassium Sorbate). Store in a cool dry place., Not suitable for home freezing. Warning: Pressurised container. Open with care..